Entry is free! Just pay for what you pick. 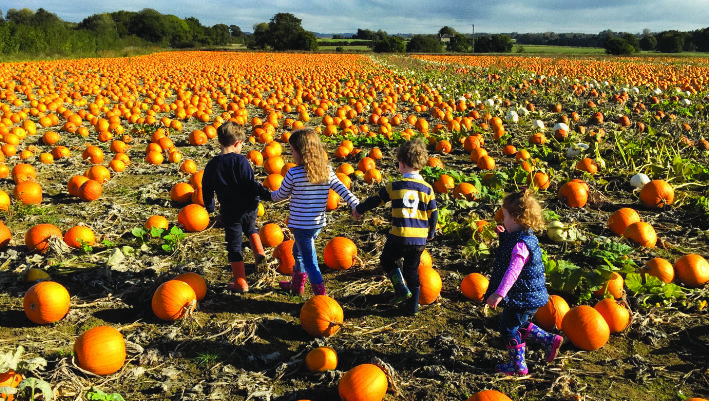 Pick Your Own Pumpkin welcomes you to become a ‘Pumpkin Picker’ and choose your perfect pumpkin for the Halloween celebrations! Just don’t forget your wellies! may help make your visit a fun one! • This is a working farm- there will be mud and at times a lot of it! Therefore we ask that Pumpkin Pickers, large or small, wear wellies and gloves. • Sorry we do not allow dogs, apart from guide dogs.